Japan has long been known as the fount of cuteness—and no place exudes kawaii more than Harajuku. 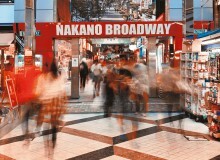 Famed internationally as a pop culture and fashion mecca, Harajuku beckons visitors from all over. 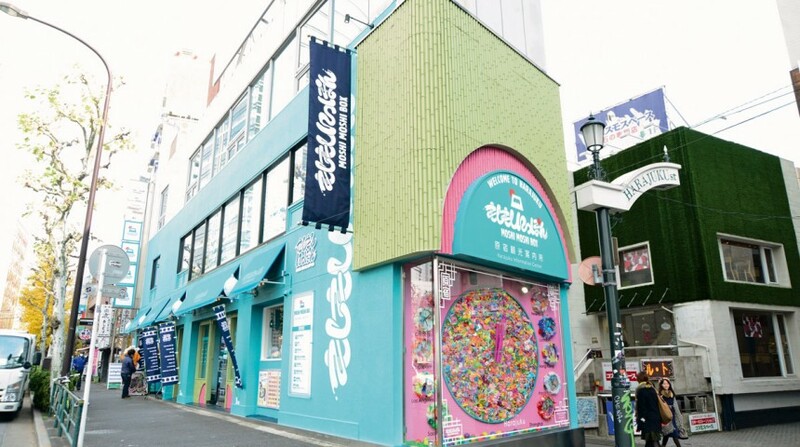 So it’s only natural that ASOBISYSTEM’s first tourist information center, Moshi Moshi Box, would be located where Takeshita-dori street, Meiji-dori street and the entrance to Ura-Harajuku meet. At this epicenter of coolness stands a blue building that’s home to everything needed to make the most of a day on the town. The mission of Moshi Moshi Box is to make this culture easily accessible: The center provides not only maps and information about the area, but also internet access via iMacs that anyone can use, free charging for smartphones and tablets, the only Travelex automated currency exchange machine in Harajuku, shipping services and a selection of stylish omiyage (“souvenirs”) produced by the Box’s creator, Moshi Moshi Nippon. More than just a fashion mecca, the tastes of Harajuku are also well known, particularly in the form of crêpes. In addition to charging phones upon visiting the Moshi Moshi Box, guests can recharge themselves at the adjoining Marion Crêpes shop. Although tourist information is available from many sources, there are key points that set this endeavor apart. “This center is not managed by ministries and governmental offices but by a private company,” Kuroyanagi points out. “So we are able to deliver street culture to visitors, as well as fundamental tourist information. 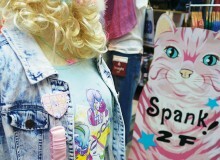 We can provide detailed information about specific shops in Harajuku, because we specialize in Harajuku.” Need proof? 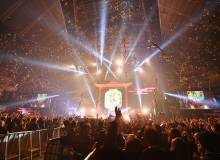 Kyary Pamyu Pamyu, the undisputed queen of Harajuku and global symbol of kawaii, is a key part of Moshi Moshi Nippon—as host of the company’s TV show that airs twice a month and reaches viewers in more than 150 countries. With its grand opening on Christmas Day, the Harajuku Moshi Moshi Box is just the beginning of a mission to connect the world with Japanese pop culture. 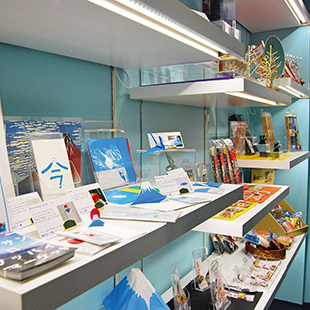 More of these information centers will be launched in various cities around the world, as places where people can learn about Japanese culture, get authentic and unique Japanese goods and promote Japan as a top destination for those planning vacations abroad. Forget about the Year of the Sheep. 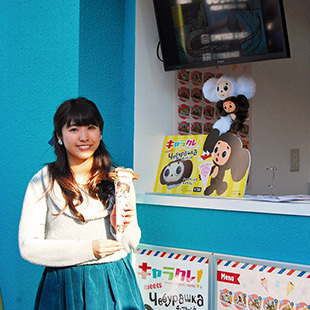 Harajuku’s newest waypoint makes 2015 the Year of Kawaii.